Ministry launches campaign urging Israelis to use money instead of livestock in popular religious ritual. The Ministry of Agriculture began a campaign against the use of chickens for the kaparot ritual, saying it is doing so for the benefit of the public and to protect animal rights. Kaparot is a traditional prayer said during the day before the Yom Kippur fast begins in which a person circles his head with a chicken or money, symbolizing that they are substitutes for him and are to be punished for his sins, the chicken to be slaughtered for a meal, usually donated to the poor, and the money given to charity. In recent years, there has been a brouhaha about the use of chickens in the prayer. The ministry released a humorous video promoting the use of money instead of animals for the kaparot ritual. "This year, we're doing Kaparot with money and helping needy people." says a voiceover. 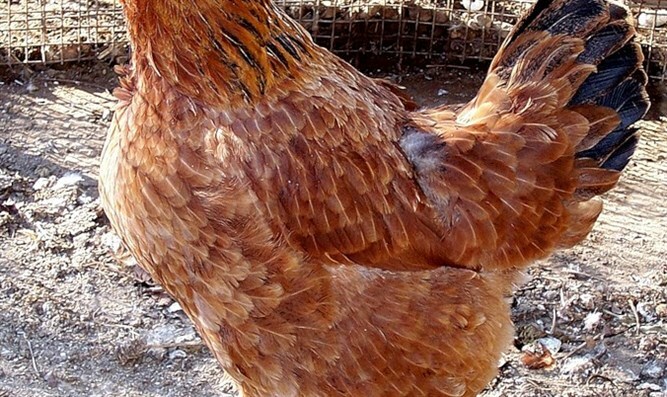 The use of livestock has come increasingly under fire, as cities both within Israel and abroad have banned it on grounds that waving the chickens constitutes cruelty to animals. Last year, the central city of Petach Tikva announced that the ritual was strictly forbidden, and promised that police would crack down on people slaughtering chickens in the streets, which has been done in years past. The move comes after Tel Aviv and Rishon Letzion banned the practice in 2016. The custom has also faced opposition in the United States. In 2016, a Los Angeles judge issued a temporary restraining order against performing the ritual in any format in the city of Irvine, California.